Fashion designer and Chairman of amfAR, Kenneth Cole, has partnered with the MTV Staying Alive Foundation and amfAR on the reinterpretation of the iconic AIDS ribbon. 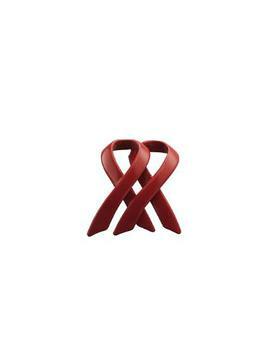 The newly designed AIDS Ribbon by fashion designer and activist, Kenneth Cole. Designed to commemorate the discovery of the virus 30 years ago, and to ignite a new wave of awareness about the pandemic with the next generation, the new AIDS ribbon features a double loop and symbolizes the coming together of individuals and the re-doubling of efforts in the fight against HIV and AIDS. 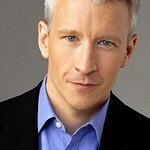 The ribbon will be supported by a provocative celebrity PSA campaign entitled “COME TOGETHER.” The campaign, which will air on MTV channels worldwide in November and December, will feature a montage of celebrities wearing the double ribbon reciting lines about how, where, and when they like to wear it. Celebrities featured in the campaign include: Ke$ha, Sarah Jessica Parker, Cyndi Lauper, Estelle, Skylar Grey, Cheyenne Jackson and Rose McGowan. Viewers inspired to get involved or learn more about the campaign will be encouraged to visit MTVComeTogether.com, where they can learn important facts about HIV prevention, purchase the new double ribbon, donate, upload photos of themselves wearing the ribbon or discuss the issues. They can also follow the campaign on twitter @MTVComeTogether or on Facebook facebook.com/mtvcometogether. The ribbons will be on sale beginning November 4 through December 31, with 100% of net profits being donated to AWEARNESS, the Kenneth Cole Foundation, in support of the MTV Staying Alive Foundation and amfAR, The Foundation for AIDS Research. The ribbons will be available for purchase at: Kenneth Cole retail and outlet stores in the U.S., Latin America, Israel, the Philippines and KennethCole.com; Bloomingdale’s and Bloomingdales.com; Gilt Groupe; and House of Fraser in the UK. The campaign is looking to social media and online influencers to help spread the word to their readers and followers. To mark 30 years of AIDS, 30 bloggers will show their support by sharing an image with the reinterpreted ribbon on their blogs and social channels. Additionally, blogger Jamie Beck of Fromme-toyou, known for taking the concept of animated photography to a whole new level, will share a cinemagraph of Kenneth Cole wearing the ribbon on her blog.